Michigan has been intentional about growing community foundations since the late 1980s. Local efforts have been supported by the Council of Michigan Foundations with funding from the W.K. Kellogg Foundation. FERA (Formative Evaluation Research Associates), an independent evaluation group, and Williams Group, a strategic communications firm, have documented growth, identified supports and obstacles, and developed lessons learned. 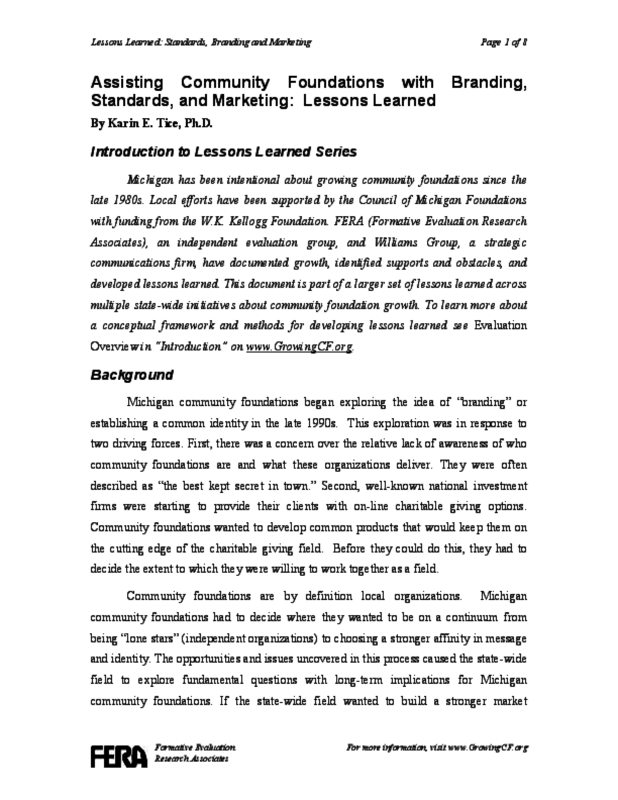 This document is part of a larger set of lessons learned across multiple state-wide initiatives about community foundation growth.